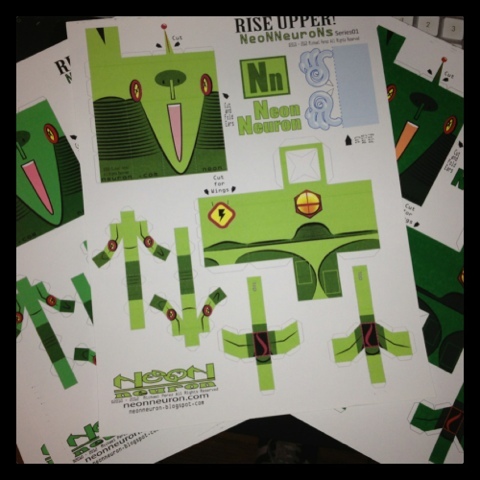 The Neon Neuron Blog: Same file, Different color? A New Challenge has Appeared! I thought the calibration between my printer, screen and Illustrator were good. Not perfect, but, good. Until today, when I went to print and this happened. All three colors were off. This is a little frustrating when you're trying to get something right before you send it out to the public, and you have an idea in your head of what it is you want. The worst part now, after discovering this, is trying to figure out how this is affecting all my work. 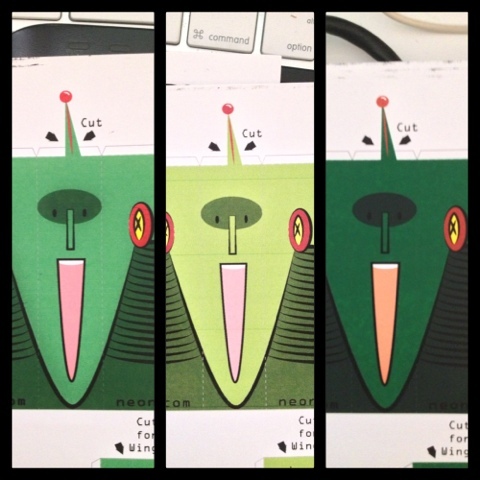 I had to mess with the settings in Illustrator and with my printer to get these three different color schemes. The thing is, I want the paper crafting experience to be as simple as possible. I shouldn't, nor do I want to explain to the crafter how to adjust their color or print settings because of a mistake on my end. A bit old I know but I work a lot in Illustrator/Photoshop and know that having a color profile and being careful what color space you are working in. I tend to create in an RBG space and use Pantone Spot Colors, but I've heard quite a few illustrators swear by CMYK, then converting to RBG before outputting to PDF. Yeah, I started working strictly in CMYK with Illustrator. When I get a bit more time, I would like to play around with other color spaces. But, for now, it's amazing when I get anything done. A New Mercurial Smile Comic!